Attendees can ring in 2017 with new activities: retro arcade, human-size bowling and more. Michael Mangum | Special to The Tribune Spectators take in the sights inside the giant mirror at the first night of EVE at the Salt Palace Convention Center in Salt Lake City on Monday, Dec. 29, 2014. Michael Mangum | Special to The Tribune Spectators roam the inner workings of the giant mirror ball at the first night of EVE at the Salt Palace Convention Center in Salt Lake City on Monday, Dec. 29, 2014. Michael Mangum | Special to The Tribune Spectators take in the sights inside the giant mirror at the first night of EVE at the Salt Palace Convention Center in Salt Lake City on Monday, Dec. 29, 2014. Michael Mangum | Special to The Tribune Spectators roam the inner workings of the giant mirror ball at the first night of EVE at the Salt Palace Convention Center in Salt Lake City on Monday, Dec. 29, 2014. 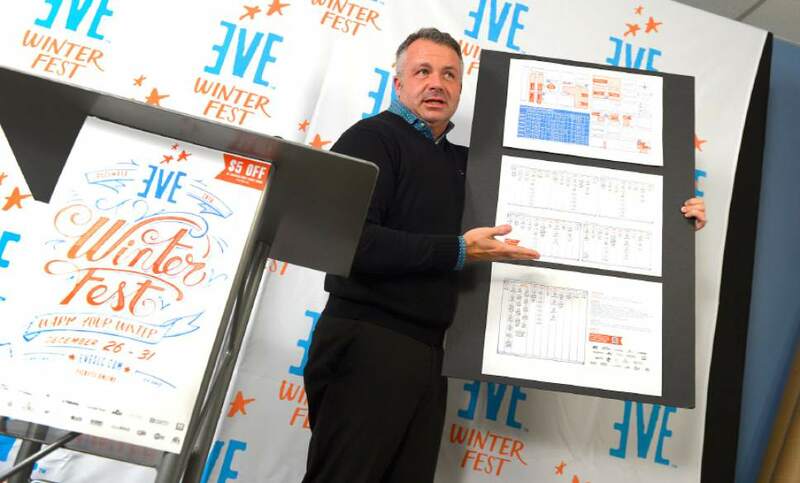 Leah Hogsten | The Salt Lake Tribune Jason Mathis, executive director of the Salt Lake City Downtown Alliance, talks about the changes to this year's week-long EVE WinterFest. The number of celebration days has doubled in 2016 to six days, with an expanded schedule of performers and activities. Leah Hogsten | The Salt Lake Tribune Topher Horman, EVE creative director with the Salt Lake City Downtown Alliance, talks about the changes to this year's festival. The number of celebration days has doubled in 2016 to six days, with an expanded schedule of performers and activities. 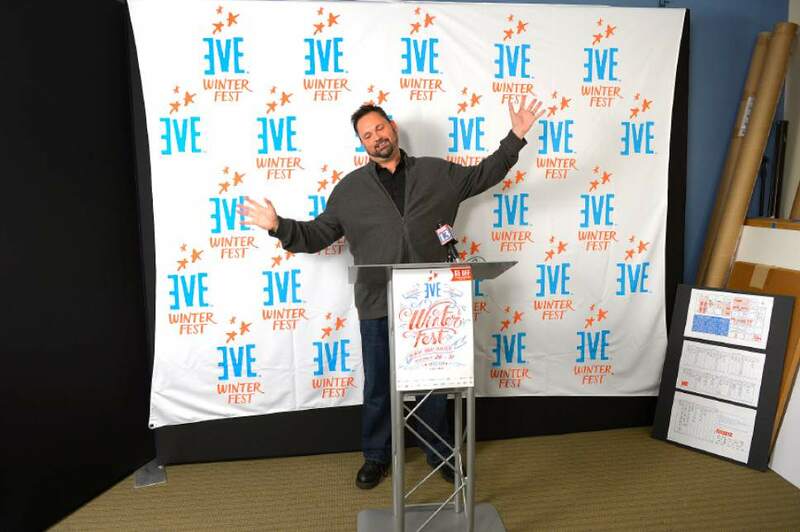 EVE WinterFest will offer twice the fun to end 2016 as the annual downtown celebration is expanding from three days to six, organizers announced Wednesday. 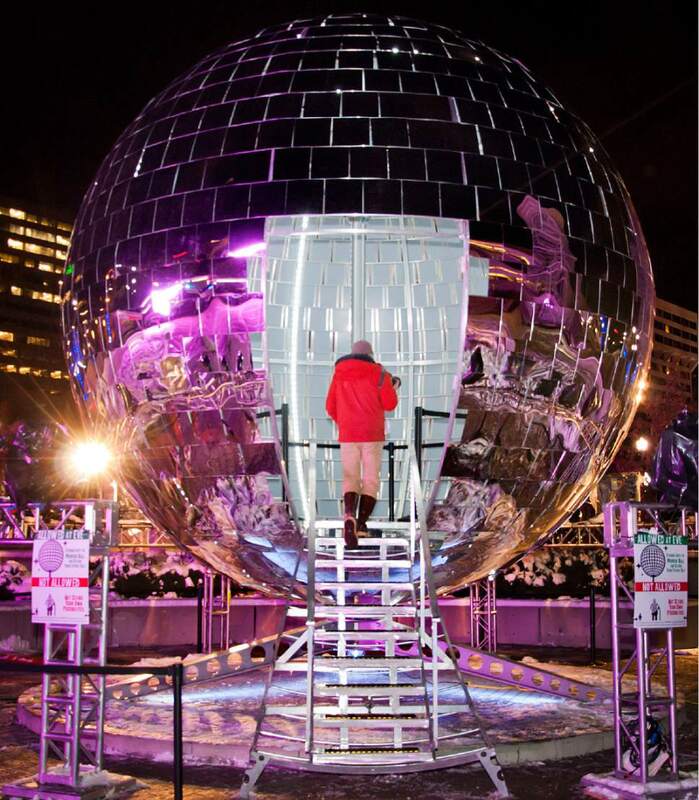 When Salt Lake City&apos;s end-of-the year celebration was launched eight years ago, the dream was to eventually make it a weeklong event, said Jason Mathis, the executive director of the Downtown Alliance. "This year, we are taking the plunge and making it twice as long," he said during a news conference. The festivities will run Monday through Saturday, Dec. 26-31, in 15 theaters, museums and other venues, including The Salt Lake City Main Library and Wiseguys Comedy Club at The Gateway, which are new this year. 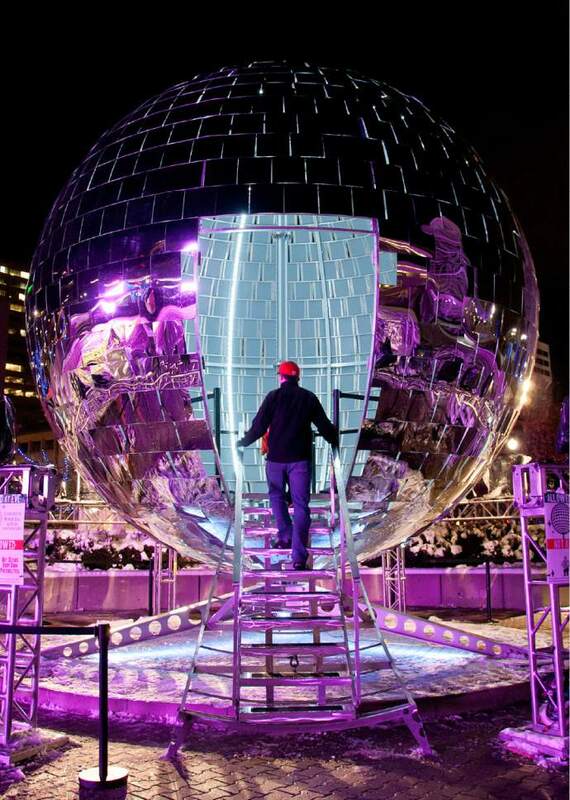 The festival will once again culminate at midnight on New Year&apos;s Eve when the giant mirror ball will drop at the Salt Palace Convention Center&apos;s south plaza, followed by a laser show that lights up the night sky and the surrounding buildings. 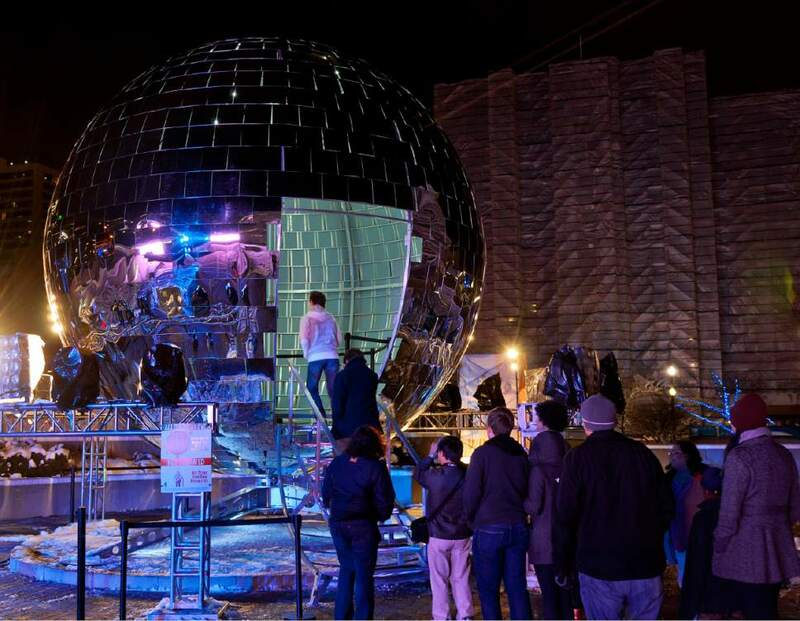 The orb, which weighs more than 2,400 pounds and has a circumference of more than 60 feet, is the largest disco ball in the United States. The Downtown Alliance is expecting to sell all 25,000 tickets to this year&apos;s event, Mathis said, noting that because Christmas falls on a Sunday, Utah children have an entire week off of school before New Year&apos;s Eve. "Families are always looking for something to do during that time," he said. And EVE offers a cure for those "who get a little bit of cabin fever" during the break. An all-access pass  good for the entire six-day run  includes entry into art exhibits, film screenings, comedy shows, live music, ice skating, cultural performances and a chance to see the Utah Jazz play the Philadelphia 76ers at Vivint Smart Home Arena. One new offering will be the four live "Iron Chef"-style art competitions at UMOCA. Local artists and personalities face off in team and individual creative battles, incorporating surprise "ingredients" into their artworks. Adult passes for EVE are $25, kids are $15. Get $5 off when you purchase tickets through America First Credit Union. Single-day passes are available for $20 and $10, respectively. Visit eveslc.com for details. Family activities at the Salt Palace will be offered Dec. 30 and 31 only, but include several favorites, including a GameRoom, filled with oversized games; the BounceTown inflatables; the BallRoom, with lights, music and beach balls; and the Crash Room, where guests practice their percussion skills on cans, lids, metal, plastic and wood. New this year will be an arcade with retro games like "Pong" and "Missile Command," said Topher Horman, EVE&apos;s creative director. There also will be "karaoke for a crowd" and glow-in-the-dark human bowling, with balls big enough to climb inside. There also are several free events at UMOCA, Temple Square and City Creek Center that don&apos;t require an EVE ticket. 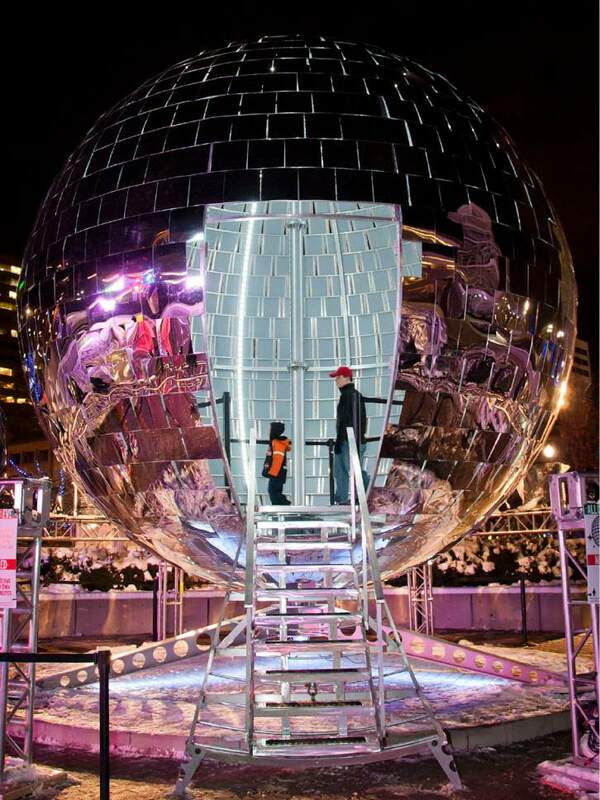 Salt Lake City will ring in 2017 with six days of music and culture as well as a countdown to midnight with the largest mirror ball in the U.S. Cost • An all-access pass  good for the entire six-day run is $25 for those 10 and older; and $15 for those age 3 to 9. Get $5 off when you purchase tickets purchased through America First Credit Union. Single-day passes are available with adults, $20; and children $10, respectively.